I have now been selling physical products on Amazon for about a year and half now. I've learned a tremendous amount over that time period, and best of all, I've created another significant income source in my business. I've shared a few updates on my Amazon FBA business; however, its now been a couple of months before I've really last mentioned my Amazon business here. 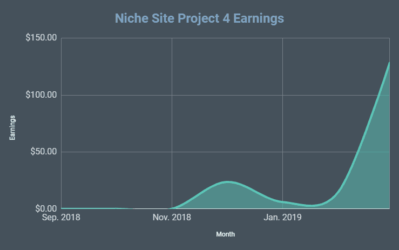 So, today I'm dedicating this post to giving you an update on my FBA business: income report, what's working, and plans moving forward. A year and a half ago, I didn't have any products listed on Amazon at all. I then started with 1 product and it did well right out of the gates. However, by the end of last year, I still only had 4 or 5 products selling. However, I could see the huge potential and so I set a goal to launch 15 new products in the first half of 2016. I accomplished that goal. In fact, Jake and I have been ambitiously launching products all year on Amazon…and we continue to do so. You see, there are a couple of ways you can grow a business. Get more sales from your existing products, or launch new products. 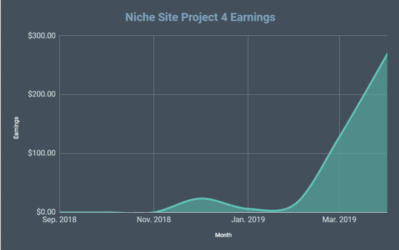 We certainly try to get as many sales out of our products as possible, but after analyzing things, I felt like the fastest way to grow was to launch additional products. So, as of today, we now have 20 products live on Amazon! (And technically one of these products has 5 different variations, so we have 24 product listings). This post is not meant to be a step by step guide on how to launch products, I've covered a bit of that in the past here and here. However, in general, we've followed 3 different strategies when launching products. Launch nearly identical private label products to what competitors are already offering. We find a manufacturer on Alibaba.com that can slap our brand name on the product, order a minimum order quantity, and list it on Amazon. Quickly launch products using AliExpress with nothing unique or special branding. There is basically no minimum order quantity on AliExpress. So, we search for something that isn't really selling on Amazon, then order 10 units or so and list them on Amazon. If they can sell on their own without any special promotion, we then consider finding a manufacturer to make the product more unique and add our branding. Launch products with a unique angle – not exact copies like in strategy 1. My very first products on Amazon were of this variety and sold extremely well right out of the gate. Our best selling products are all from strategy 3, launching unique products. This is obviously more difficult to do since you don't always know exactly how the market is going to respond when you offer them something slightly different. When I say “unique”, it doesn't have to be patented. I won't be revealing any of my products; however, lets say you were looking into selling shower heads. Perhaps there are square shower heads ranging in size from 2 inches to 10 inches. Well, perhaps you come in as the only seller with a 12 inch shower-head. You suddenly become the only seller on Amazon selling that exact size of shower-head. So, from my experience over the last year and a half, the more unique offering you have, the better your products will do. Okay, now that you know that I've been ambitiously launching products, what has this done to the bottom line? The above screenshot is from August 2016. 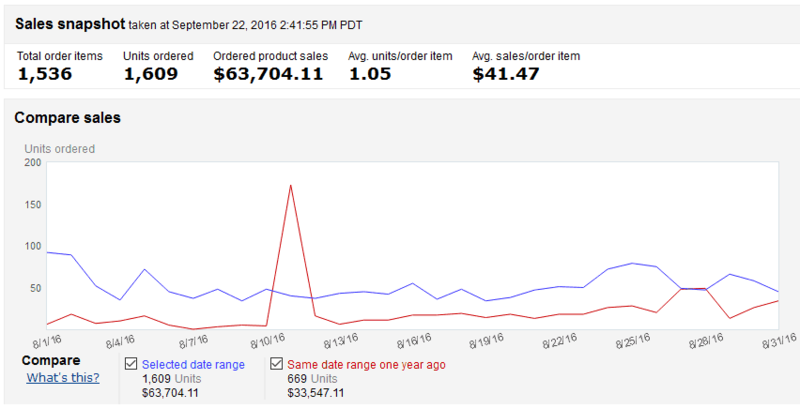 So, we sold just over $60k worth of product through Amazon…awesome! You can also see that this is just about double what we were selling during August 2015. I'm very happy with the growth of the business. 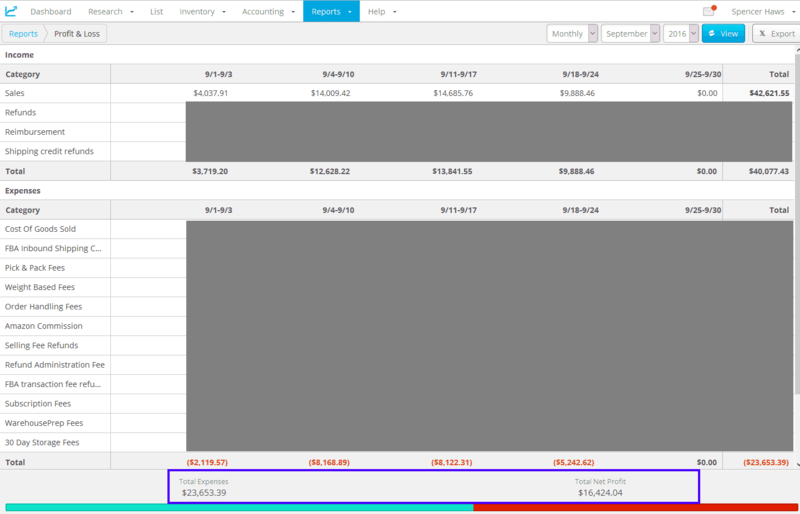 Now, unless someone thinks that $60k is actually how much money I put in my pocket, I'd like to share another screenshot that shows expenses as well. The below screenshot is the month to date for September (as of Sept. 22nd). This shows both top line revenue and net profit (after ALL Amazon fees and ALL manufacturing/shipping costs). The above screenshot is from a tool called Inventory Lab. I absolutely love Inventory Lab to track profits, losses, inventory, and more. 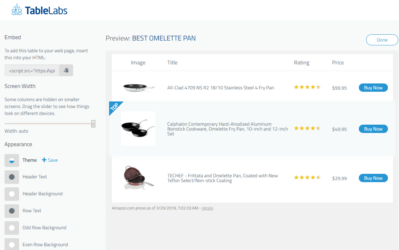 Using Amazon's interface is difficult to find anything very accurate; whereas Inventory Lab calculates what is a giveaway product and what actual profits and losses are. 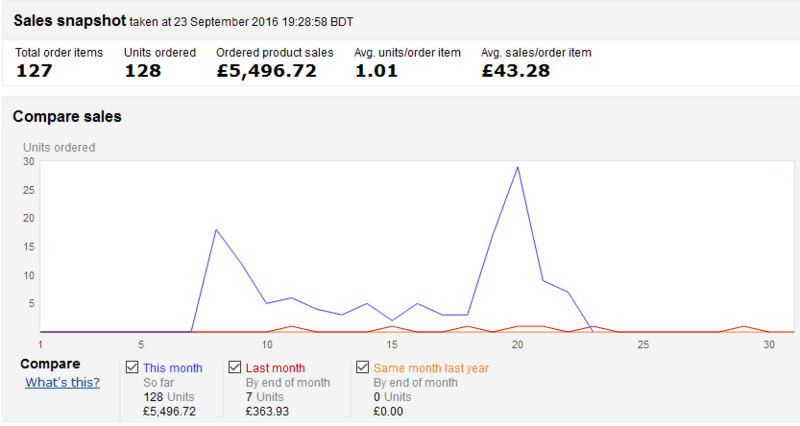 So, with about a week to go in September, I'm sitting at about a net profit of $16,000! I'm very happy about that. Now as you can see, some of the refunds, etc have not been pulled in from Amazon for the 9/18-9/24 week…so this will lower net profit by 1 or $2k; however, this screenshot is good enough to show you about where we are at. If my products are selling well in the US, would people would buy them in Europe as well? I now know the answer to that question is yes. Over the last few months, I shipped 2 of my best selling products to Amazon UK and started selling in Europe. This was a long process and you have to jump through a few hoops. However, after all the work, my 2 listings are now live and selling! Now remember, these Amazon screenshots include promotional units sold, so really the revenue is likely less than half of what is shown above. The main point is that I've now dipped my toe into international commerce, and I'm seeing some good signs! If all continues to go well, I see no reason to not bring over my additional products. When you have a unique product listing that is selling well, it's only a matter of time before copy cats come along with their own knock-off version of your product. I enjoyed a little over a year where I was literally the only one selling the exact variation of the product. Now in the last couple of months I have at least 2 exact replicas of my product from copy-cats. I am still the top listing because I've established myself with lots of positive review and age; however, the copy cats aren't far behind. Unfortunately, this is the name of the game and there is not much I can do about it. As a result, my sales for a couple of my top products have taken a dip (but are still my best sellers). This is one reason that my revenue isn't higher. (If you recall from an income report I did a few months ago, my revenue was also about $60k/mth). The ultimate goal would be to create a product with an actual patent, so that I could fight off the copy cats. However, there is still something to be said for being the “first” to market. The copy cats still haven't outranked my listing and I still enjoy the fruits of being the first to come out with my exact variation of a product. I suspect that these people creating the listings are all users of Jungle Scout. Jungle Scout is a great tool, but with so many people using it now, it's hard to come out with a new product and avoid having thousands of people see your success. Success breeds competition. Another issue I've had to deal with more frequently is Hijackers. These are basically other sellers that try to take over your listing. Unfortunately, Amazon hasn't been able to stop this problem on your own. So, I've been using ListingEagle.com to monitor my listings for me. When a hijacker jumps on my listings, Listing Eagle sends me a text message, and then I send a message to the hijacker asking them to get off my listing. They usually leave the listing pretty quick. Bottom line is that just because you have a great selling product, doesn't mean it's going to last forever or that people won't do everything they can to piggyback off your success. At this point, we've seen that our more unique ideas tend to sell the best and so we are going to focus more on that. I would LOVE to come up with a patented idea, and hopefully I'll be able to achieve that some day. So, the plan is to continue growing my existing listings, go international, and then try to create more unique product offerings. If you are selling products on Amazon, I would love to hear how its going for you. If you have any other questions or comments, please feel free to leave your thoughts below. Last 3 years I am working on Amazon Store SEO/Keywords Rank. Really Great opportunity to Boast your earnings Internationally. My mostly client grow their business UK, DE, ES. Now I am decided to start selling on Amazon. Your this post Really increase my confidence. Thanks Spencer Haws for share this great content. Still no subscription option for comments? Come on Spencer, what is holding you back? There are plenty of free WP plugins floating around to choose from. Give him a break Ken, what’s the problem anyway?! I would prefer to be notified of replies so I can go back to his site and read them. Otherwise I never return to that page. I don’t understand why Spencer is against driving return traffic to his site. It doesn’t make any sense to me. When did you start vendor central? Or are you only doing Seller Central? Not sure what Ken is even referring to. Alittle bit rude, it sounds like. Anyway, as far as the post itself—very interesting. Online sales like this, is not stress free, however. The competition always has their creative, sometimes malicious game plan in action. Amazon, I guess takes some of the workload off the product seller. I’m sticking to Affiliate Marketing for now because this requires focused attention to succeed. However, I am interested in anything Spencer Hawes has to advertise based on great record. Thank you , Spencer for great website. Thanks Dan! Selling your own product definitely is not stress free, but I’m enjoying it so far. Spencer, Congrats on the success. I am heading down a similar path of launch more products. What is killing me is dealing with the clowns at FBA who are screwing up my inventory. I spend at least an hour a week on the phone with them trying to get inventory moved from Reserved to Fulfillable. If you are looking for new business ideas then consider helping FBA sellers with inventory management. True, I’m sure there are plenty of business ideas there. Hey Spencer thanks for sharing! I’ve been selling on amazon for about 16 months now. I live in Mexico but most of my sales come from US. I’m doing Wholesale and some Retail Arbitrage but now I’m thinking about jumping on to Private Label too. You’ve been an inspiration for me since the beginning, even before this Amazon adventure. LTP has helped me (and still does) to do SEO successfully since 2014. Keep on going!! Very interesting. We’ve been doing a lot of sales away from amazon for one single reason. Copy cats. 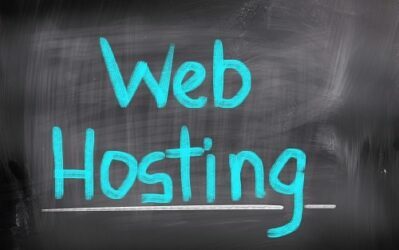 We have a number of sites and all of them get good traffic through different methods and none of them refer to our main site so that we can stay clear of bad competition. I will ask my team to look into this again though. Thanks for the great reading though. I am pationate about people trying things and innovating with internet. You certainly are one of them! Thanks Daniel! I agree that selling off Amazon is smart as well. It is interesting that Spencer was one of the ones that got us interested in FBA. At the time, we had an authority site that was doing very well as an Amazon affiliate but were intrigued. A few months later our afflliate site got penalized and so we got into FBA. We now have our Affiliate site back up and doing very well and I love having both options. They are so different and I think compliment each other very well. The affiliate site is very steady and does not require a lot of time or investment. FBA is more fun and exciting but also fluctuates a lot and can require a substantial investment. Between the 2 we have the best of both worlds. Thanks, Spencer for the inspiration. Congrats on getting your affiliate site back up and doing well. Hope things continue to go well. Hey Spencer – Amazon business sounds awesome – how do I start searching for a product? Really keen to do drop shipping i.e. source from China and sell on the US Market. Any help would be greatly appreciated. What hoops did you have to jump trough to sell in the UK? I’m actually in the UK looking to sell in the US (I’m just sourcing a few products) and haven’t considered legal implications yet! Getting signed up for VAT was a big one. Then working with my logistics company to make sure we had everything needed to clear customs, etc. Wasn’t necessarily hard, just different from shipping into US. Hello spencer . I am a fan of your blog ! Any way this is my question: how much money do you need to start on FBA ? Lest say you are doing this just for making a 1.000 monthly as a goal. Jesus, it really just depends on what product you start with and how well it sells. There are products you can launch for $500; however, having at least 5 or $6k to invest would be typical. Hey Spencer- you mentioned your Amazon UK revenues are likely half of what is shown. How many promotional units do you typically like to giveaway (or discount?) when you launch a new product now? Wow. Spencer really inspiring. Thanks for the earning stats. That is a great post Spencer. Thanks a ton. I’m curious if you think there is still room in the FBA space. I am a stay at home mom of an Army husband and have followed many internet entrepreneurs for years. I finally need to jump in to help subsidize our income as our family has grown. I have thought for the last few months that I would go with niche sites, but am wondering if I ought to try FBA? We are living in Korea and I’m wondering if there might be a product/products here that would work well. Any insight or encouragement is appreciated, I’ve been listening to all of the podcasts in the last two weeks and just need to get going. Hey Erin – It’s Jake from Spencer’s team. That’s awesome that you’re ready to make the leap. If you’d like to email me at jakecain7 AT gmail.com I’d be happy to offer advice to help you get started. 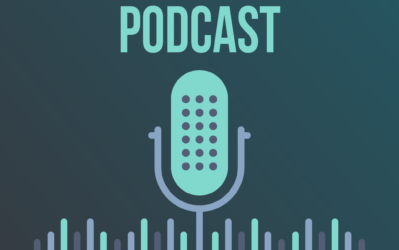 I have been a big fan of your website and podcast for a while now, in particular your FBA updates. Your communication style is direct and you provide some great insights on your business operations. I notice you have expanded your FBA business to the UK – are you also selling on Amazon’s other European marketplaces (Germany, France, Italy and Spain)? Germany is actually Amazon’s biggest market in Europe, and although the other 3 markets are smaller, together they account for a significant sales opportunity. If you are interested in selling in these countries, my business specializes in generating optimized product listings for each of these markets. Our process includes localized keyword research, native translation, copywriting, Amazon optimization (including title and search terms) and generation of PPC terms for you to target in your advertising campaigns. If you are ever interested in expanding into these other markets and need help with generating product listings, please get in touch – I would be delighted to help you. Thanks again for all your awesome content and tips! Thanks Dave! I do sell in France, Italy, and Spain. But am not listed in Germany yet. I need to work on that. Germany is Amazon’s largest marketplace in Europe and one we have helped several FBA sellers expand to – it would be a pleasure for my team and I to help you list your products there. As a thank you for the excellent advice I have received through your blog and podcast over the years, I would be more than happy to offer you a free trial of our service. If this is of interest, please contact me via the email address I used on this contact form. Even for your 24 listings the ListingEagle.com is quite expensive service for monitoring. I would recommend you to try the much cheaper one – bindwise.com. They even have free trial.